Is your ADHD child exhibiting problems with written language tasks or what seems to be a reading disability? Many children with ADHD have trouble with what has been called “working memory” or the ability to store and keep information in their mind so it can be used at a later time for other tasks. Some also have trouble calling up information that has already been stored in their brains and using that information as a tool to accomplish necessary tasks. If your child has ADD/ADHD along with learning disabilities, both problems will likely affect their memory in ways that can throw up roadblocks to long-term learning. Written Language Disorder (WLD) and Language Disorder (LD) can occur either separately or together as learning disabilities that should be addressed in an ADHD child. A 2011 article published in Pediatrics, the official journal of the American Academy of Pediatrics, concluded that “ADHD is strongly associated with an increased risk of written language disorder (with or without reading disability) for both boys and girls,” and that “Girls with ADHD are at higher risk of having written language disorder with reading disabilities compared with boys with ADHD.” (Pediatrics, Vol. 128 No. 3, September 1, 2011.) Reading and writing disabilities are fairly common among children with ADHD even though physicians have often considered ADHD and learning disorders as an “either-or” situation. In fact, a large percentage of ADHD kids have both problems. Read to your child – Begin with short passages, and extend the time if your child maintains focus. Books on tape, with accompanying texts, provide another way to pair reading and listening. Nurture your child’s imagination – While your child reads or listens, encourage him or her to visualize the events in the story, creating a picture of movie in their mind. After a few minutes, ask the child to describe the picture they have in their mind. Show your child how books are organized – Show your child how paying attention to captions, charts, section headings, and sample study questions can help organize his or her thinking. Ask your child for predictions – When reading a book to your child, stop occasionally to ask what they think might happen next. This requires the child to integrate what has been learned thus far about the characters and storyline – and about the way stories are often organized – in order to anticipate the rest of the plot. Show interest in what your child is reading – Ask you child to tell you about the book or chapter they have just finished reading. What was the main idea? Who was their favorite character? Why did your child like or dislike the book? How did the story remind him or her of other stories they’ve read? Encourage your child to take notes – Have your child keep a notebook or index cards to write down important information about what they are reading. Allow them to highlight or underline important story details – you can do this together the first time to show your child how to pick out important facts. Help your child increase their vocabulary – Create “wordpower” games to assist in increasing the student’s vocabulary. As they read a book, encourage your student to ask questions about words they don’t understand. Teach your child about “figures of speech” – A child with a language-based learning disorder takes everything they read literally. Help your child understand that what they are reading might be a figure of speech and then work with him or her to write a list of common figures of speech and what they mean. Teach your child to read between the lines – Point out sentences in which information is implied rather than stated directly and ask your child to fill in what’s missing. Build on your child’s knowledge and interests – Help your child select reading materials related to his or her interests, and encourage them to apply their own experiences to help in understanding the book. Adjust where the child sits in the classroom: When possible, provide the ADHD student with the opportunity to sit near or at the front of the class. Encourage the child to read writing instructions aloud: Ask the student to read the writing assignment instructions out loud to the class or to the teacher. Limit the number of writing assignments: Provide curriculum requiring less writing when designing classroom activities for ADHD students. Extend writing assignment due dates: Offer extra classroom time for finishing writing assignments and extend due dates to turn in written homework. Allow the ADHD student to express their personal interests: Assign short writing assignments that focus on allowing the child to express their interests in writing. Provide IT options for writing assignments: Give the student the option of using computer word processing programs for writing exercises. Create a list of difficult spelling words – Encourage the child to create a list of words he or she frequently has trouble spelling and allow them to use the list as a reference point when completing future assignments. Encourage “out of the box” writing activities – Use “movement activities” when teaching spelling, especially for words that your child finds to be particularly challenging. For example, take the student outdoors, give them a piece of sidewalk chalk, and ask them to write the words on the pavement and then suggest they jump from letter-to-letter while spelling the letter out loud. Provide writing “tools:” An example of a useful writing tool might be letter tiles that the child can use to spell out difficult vocabulary words. 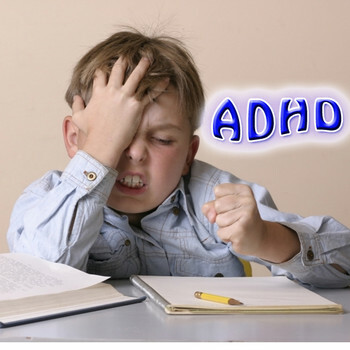 SUMMARY: It is sometimes not an easy task to teach a child with ADHD to read and write. But – if you remain calm and focused and add some of the above-listed reading and writing tips to your classroom activities, you will experience the pleasure of watching your ADHD child dramatically improve their reading and writing skills. OPTIONS: Looking for more reading and writing curriculum for your ADHD child? Check out the online curriculum options at Global Student Network.